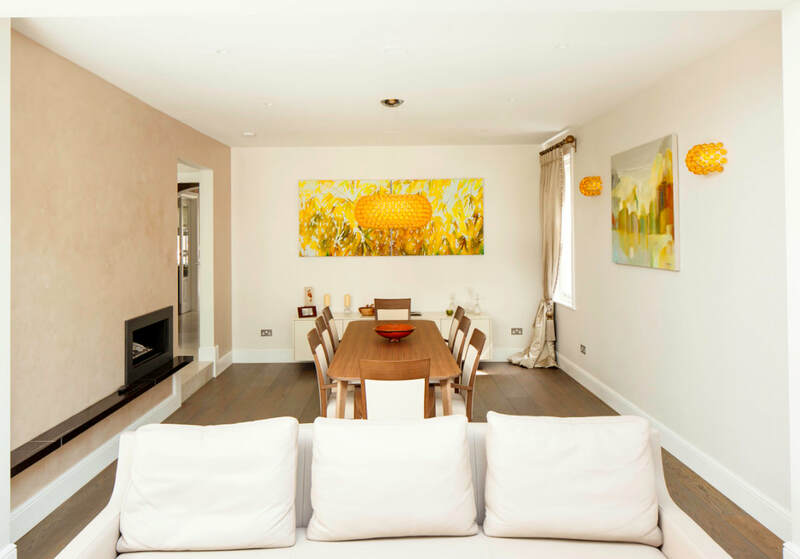 AZ Interiors, award winning Interior Designers Studio based in Cambridge. 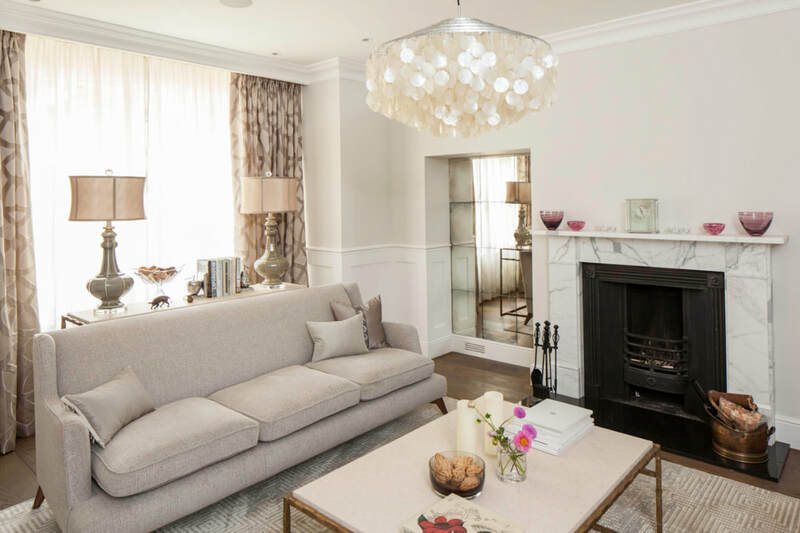 We are specialising in designing an interiors to suit a client’s lifestyle by helping them to realise the full potential of their living space. 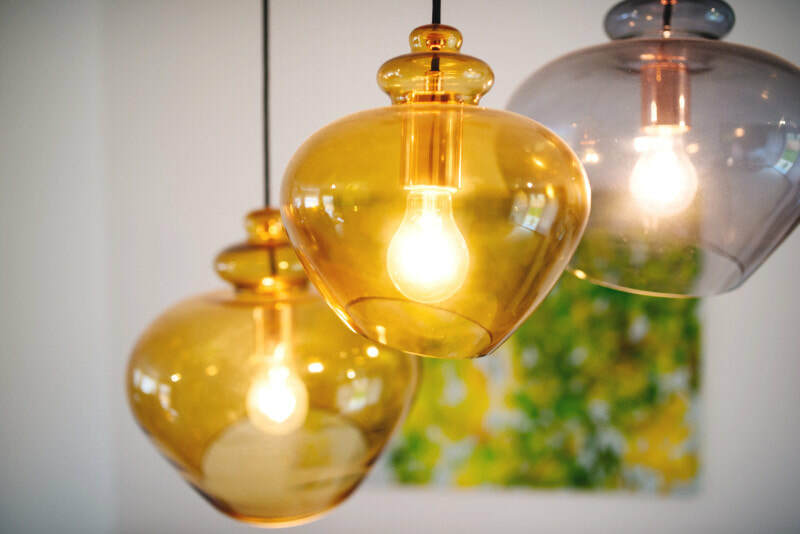 This means not only bringing inspiration through things that look good, but also addressing any functional aspects of the interior that need improving, such as layout, storage solutions and lighting. 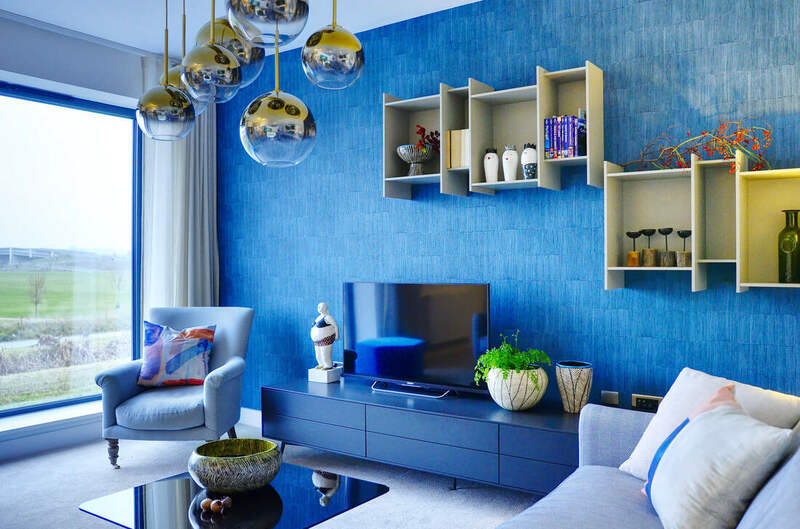 Using a wide knowledge of fabrics, furniture, finishes and lighting, we can help you to achieve the look that you have dreamed of. We can also solve the time-consuming problem of searching for the right furniture and accessories for your space. The complete renovation of a family house has resulted in a carefully crafted contemporary classic. The reconfigured interiors incorporate a new two floor extension, reception room, library, living room, five bedrooms, exterior terraces, as well as a loft studio. Contemporary pieces from luxurious Italian furniture makers sit easily in the traditional architecture. 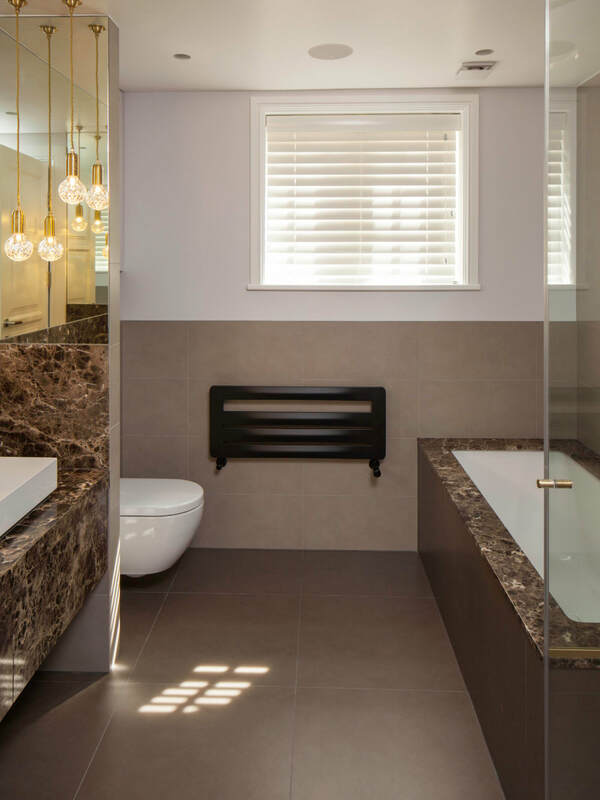 For this project, we wanted to create a space that was timeless, inviting and functional, as well as to reflect our clients’ love of innovative and luxurious design. 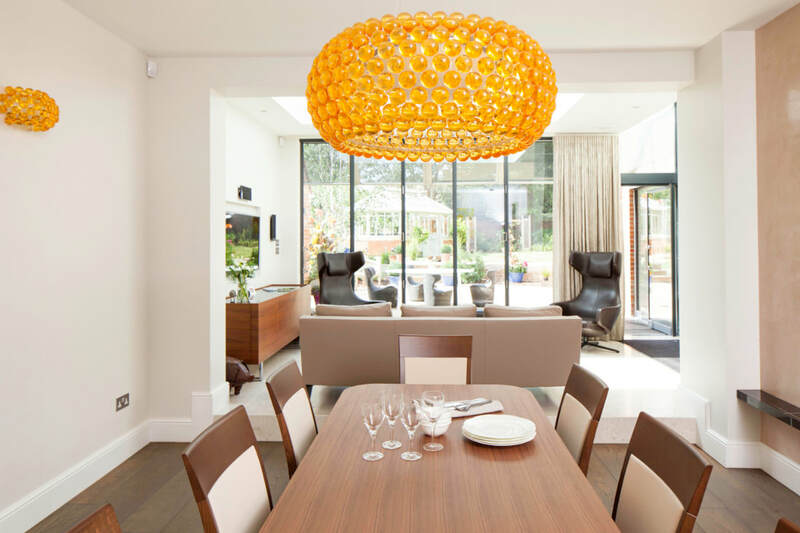 Special consideration was given to create an open-plan in order to incorporate the dining room within the living space. As a whole, our objective was to create a comfortable space that was visually appealing and versatile in nature. 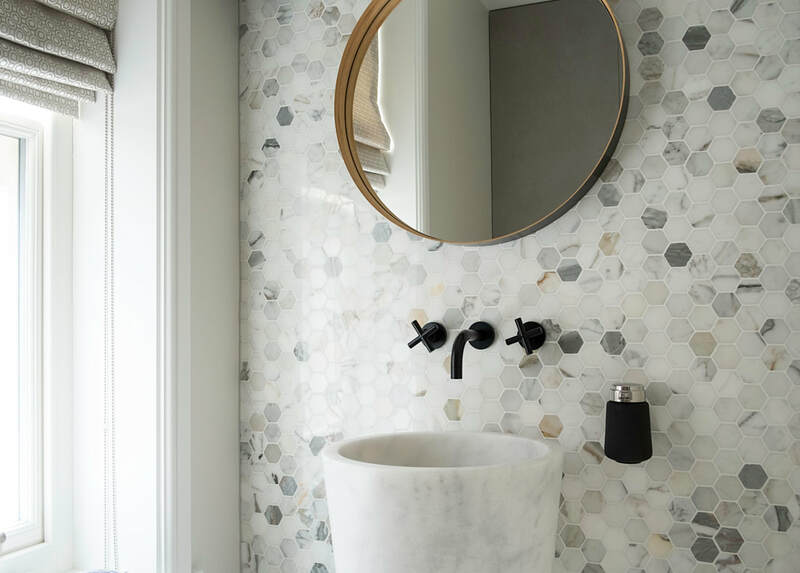 ​​Featured in this small cloakroom is a lovely round mirror, Voila tap and Contardi wall lights, complimented by hexagonal Calacatta polished marble wall tiles. 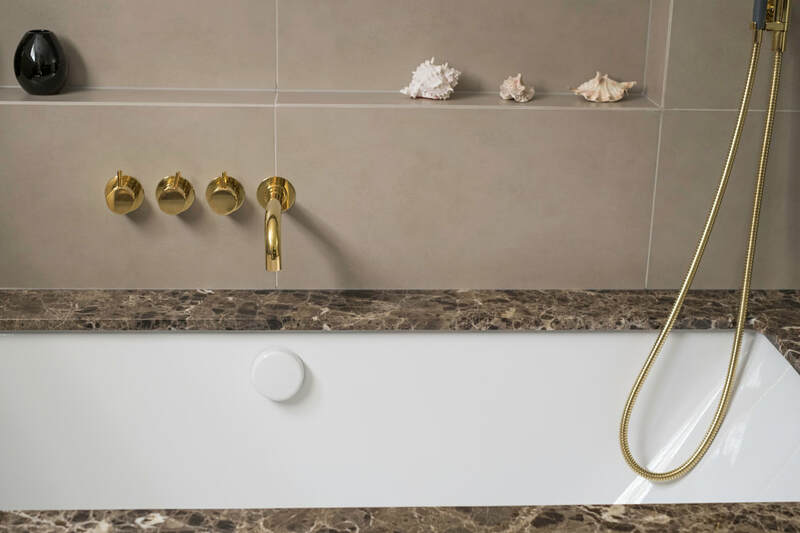 A fabulous floor standing Calacatta Honed Splitface Apollo basin (Mandarin Stone) also creates a beautiful focal point and further enhances the luxurious feeling. The soft natural tones used in the refurbishment of this master bedroom set the right balance between simplicity and luxury. Our brief was to re-style bedroom with new furnishings and fabrics to make the interior feel younger and fresher. We were also asked to completely redesign the en suite bathroom. The bedroom colour scheme was carried through to the bathroom to create a unified space. We also included interesting textures and fabrics to create the feeling of luxury. 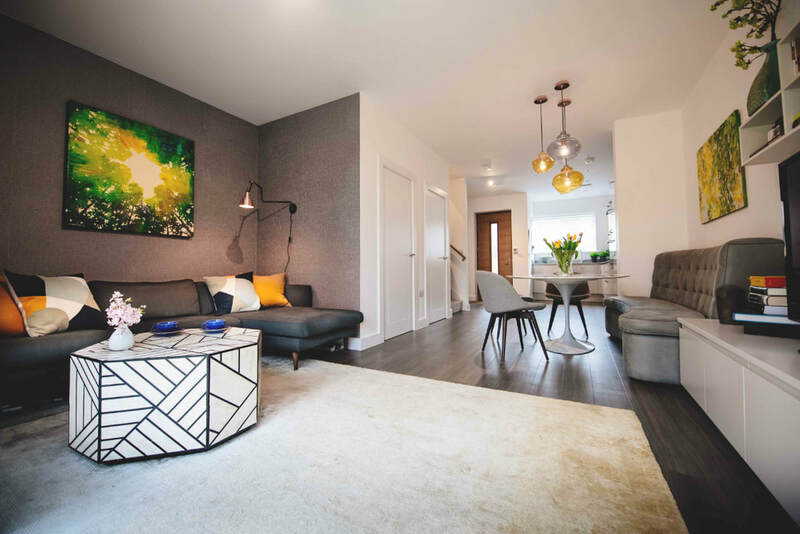 We have created a fabulously fresh and inviting living room space in this lovely new build house in Cambridge. Smart and sophisticated, navy and teal blues are the warmer way of embracing on-trend dark hues. They also have a luxurious feel . 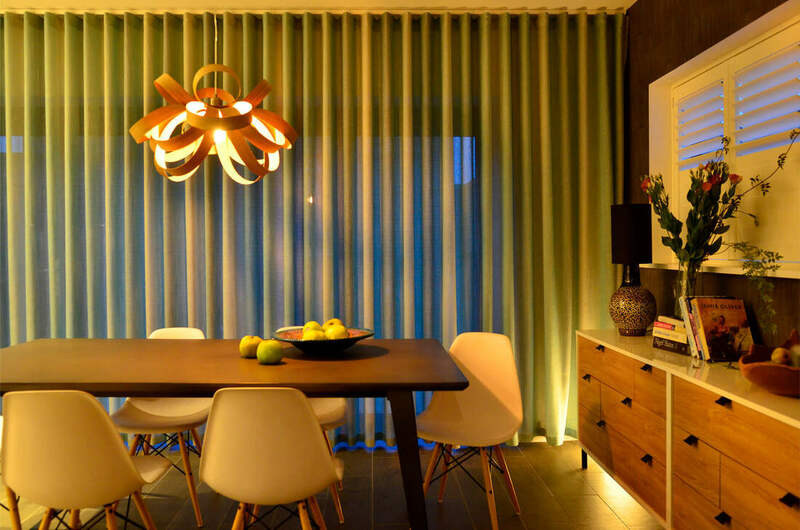 Made to measure wave curtain by AZ Interiors, Cambridge. 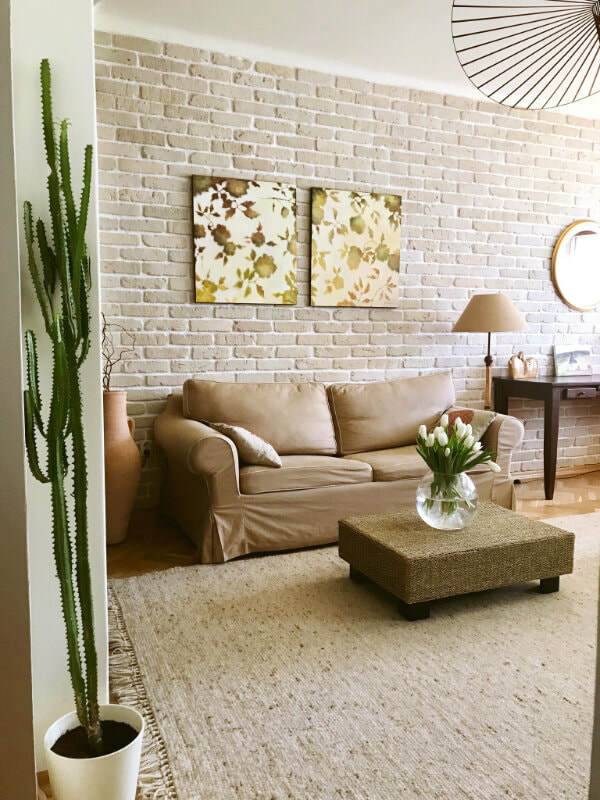 When considering the transformation of this loft apartment, we decided to use green and natural materials, such as natural stone, wood, silk. 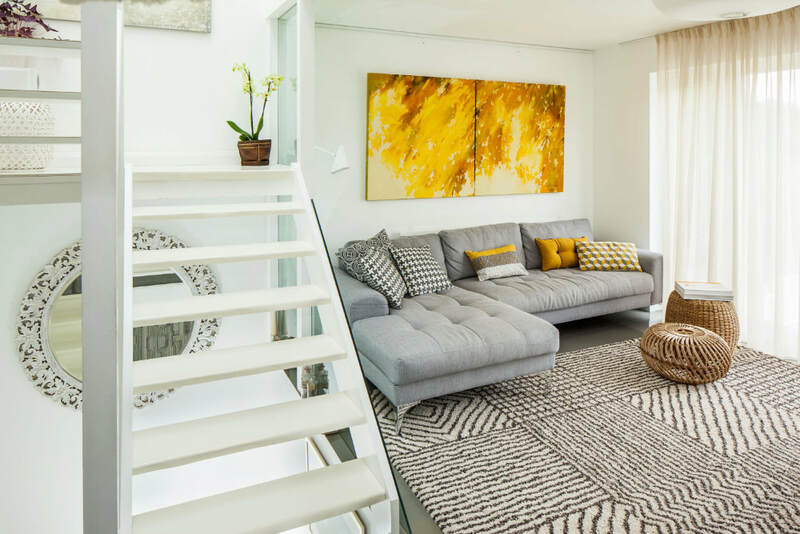 As this bright attic apartment was full of natural light, we used bold mixing materials, textures and natural patterns to create timeless, relaxed and sleek space. The entrance hall gives us our first impressions. Designing this over a 100 year old villa, the hallway was very important. We used limestone on the floor, created white painted panels and added some glam by putting stunning and bold Nobilis wallpaper, a Porta Romana console table, wall lights and a mirror gives it a welcoming feeling. 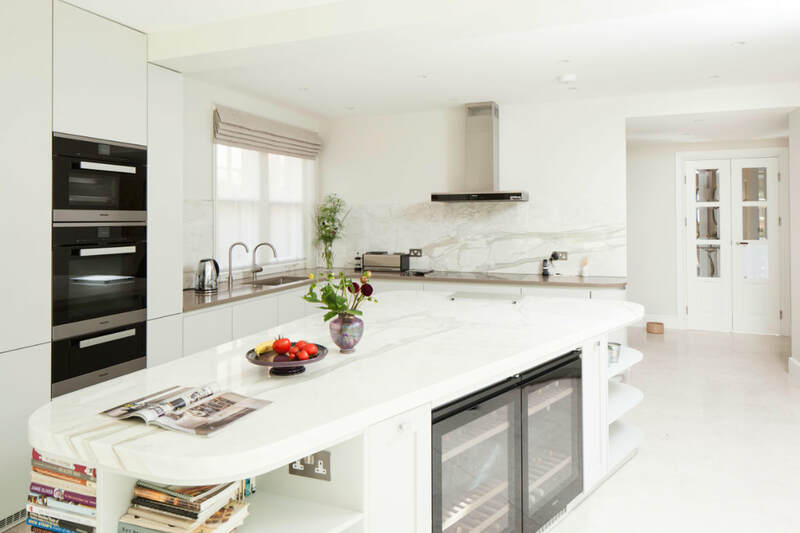 This complete renovation project of an 100 year villa included the installation of a new two floor extension, a loft studio and an exterior terrace. 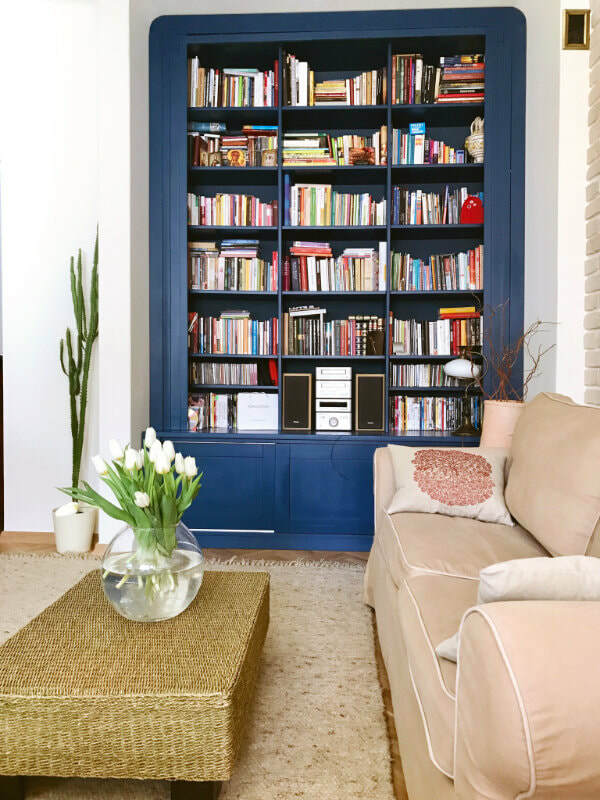 The reception room, library, living room, hallway and all five bedrooms were also transformed. As part of the project, our client wanted to create a luxurious interior space while keeping within the traditional architecture. 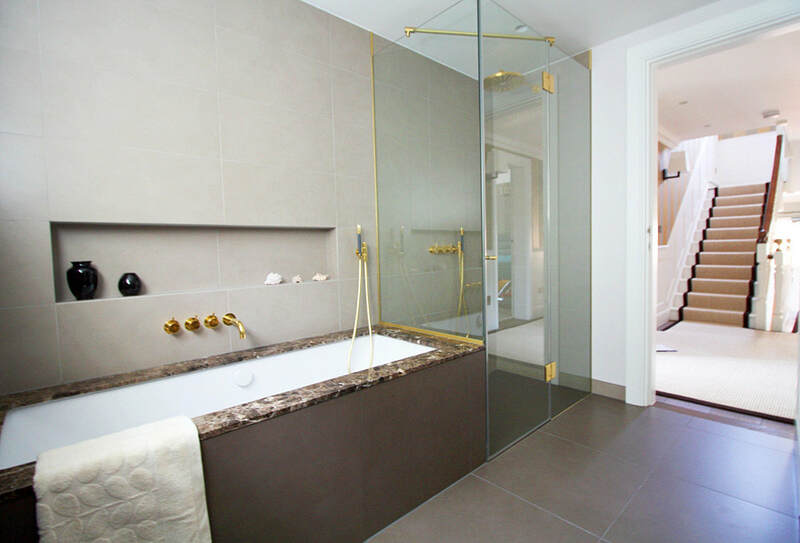 This bathroom feels like a relaxing spa given their elegant hues and luxurious touches. 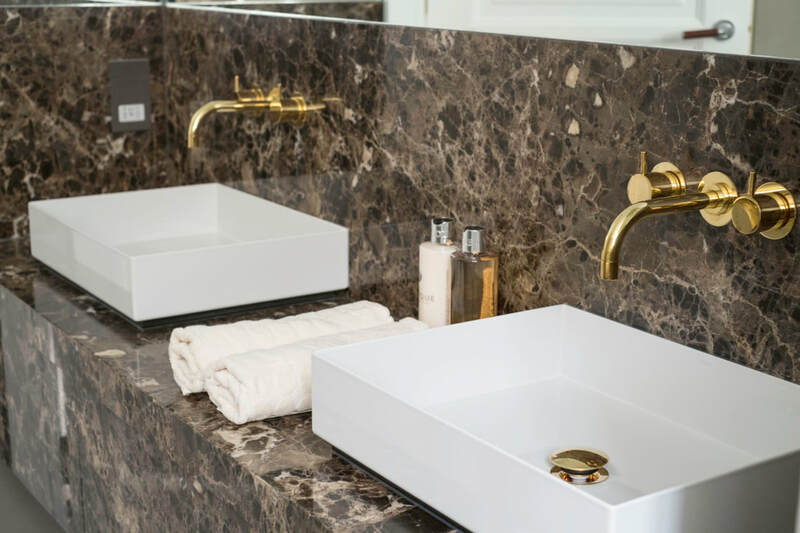 We used a very subtle colour scheme, dark marble and large tiles to provide the perfect background for luxurious Dornbracht taps, handles and the shower head. Our client wanted to create a family friendly entertaining space with plenty of storage. Urban style kitchen with light grey matt handle-less units and Carrara marble worktop and splashback. 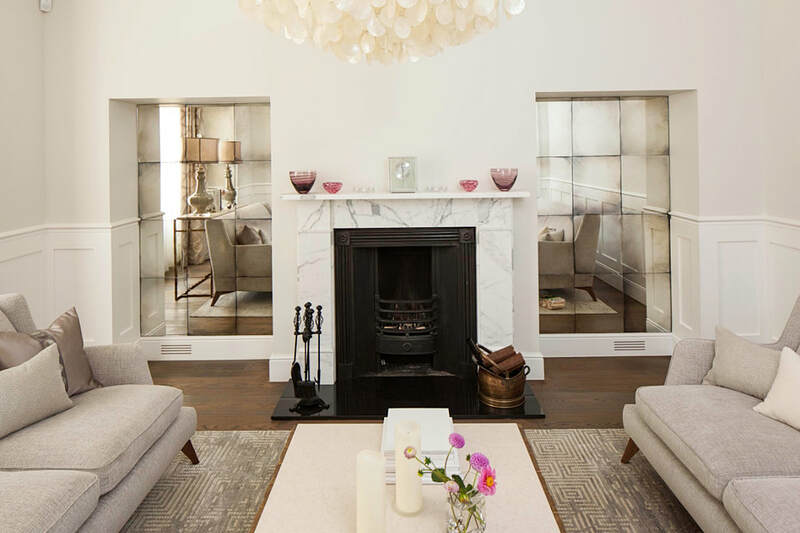 This Cambridgeshire home experienced quite the transformation. 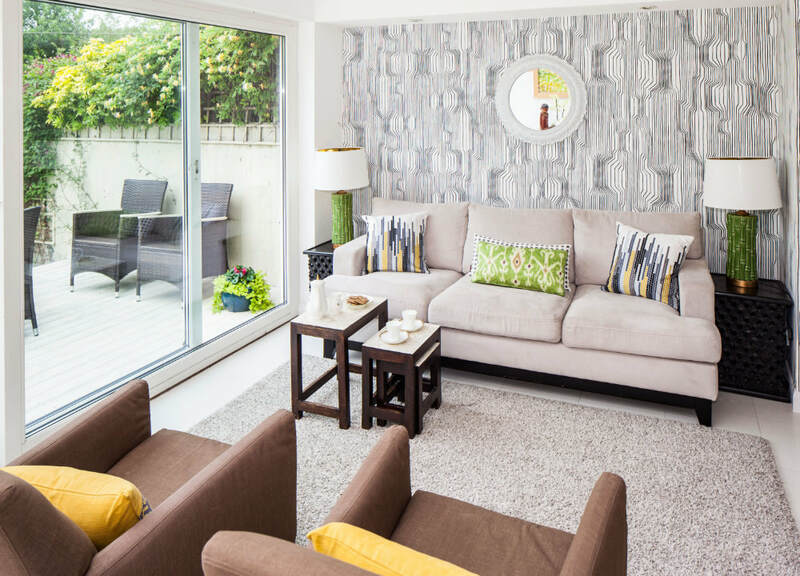 What was previously a plain and bare house has been transformed into a warm, elegant, and functional living space. By utilising natural materials such as marble and wood, an earthy atmosphere was created for the client. Bright chalk-white walls also surround each room, inviting in the warm English sunshine and creating an open feeling. 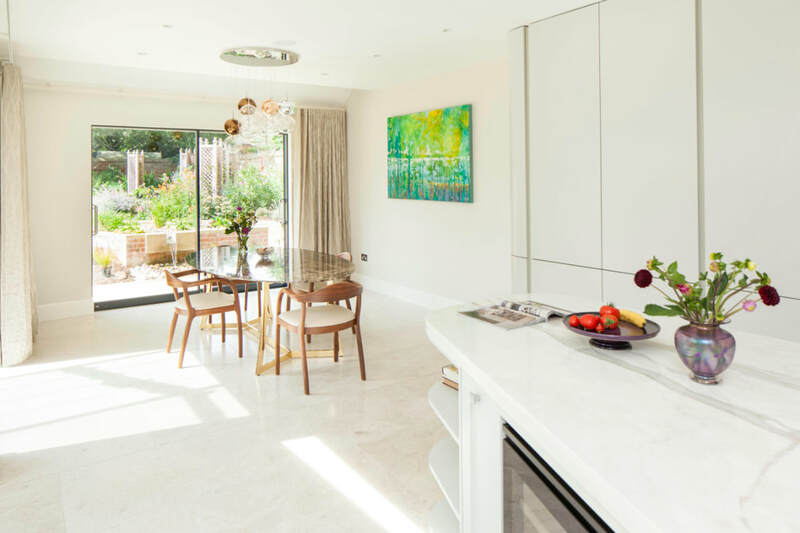 Creating a functional interior, along with ample space was a key focus for this home. 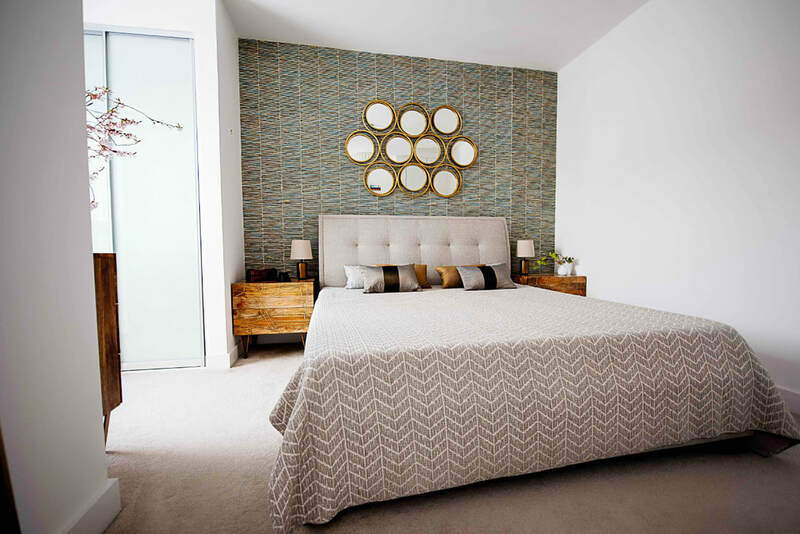 To accommodate for this, a study/bedroom was created in order to fulfill the multiple needs of the client. An abundance of storage such as the added closet in the study/bedroom as well as the many storage compartments in the livingroom and kitchen. For this project, our client was interested in giving their apartment a face-lift but wanted to keep existing furniture pieces. As a whole, they wanted to add more light and a bigger “wow” factor, while at the same time creating a cosy atmosphere. 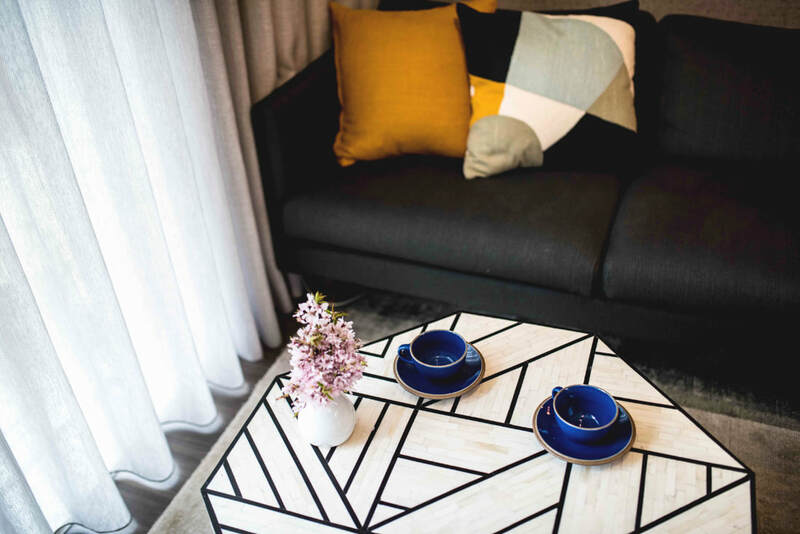 Throughout the apartment, we chose neutral colours complimented with colourful accents to add warmth and character to the space. We also took a similar approach to for the accessories, and created various focal points through artwork and lighting. All paintings displayed throughout the home were created by the owner of AZ Interiors, Alicia Zimnickas. When this home was first purchased, the house was in desperate need of a modern face-lift. The layout was not maximising on space and there was minimal natural light. To solve this, we installed a massive skylight on the second floor landing, to light up the stairwell and main hallway. 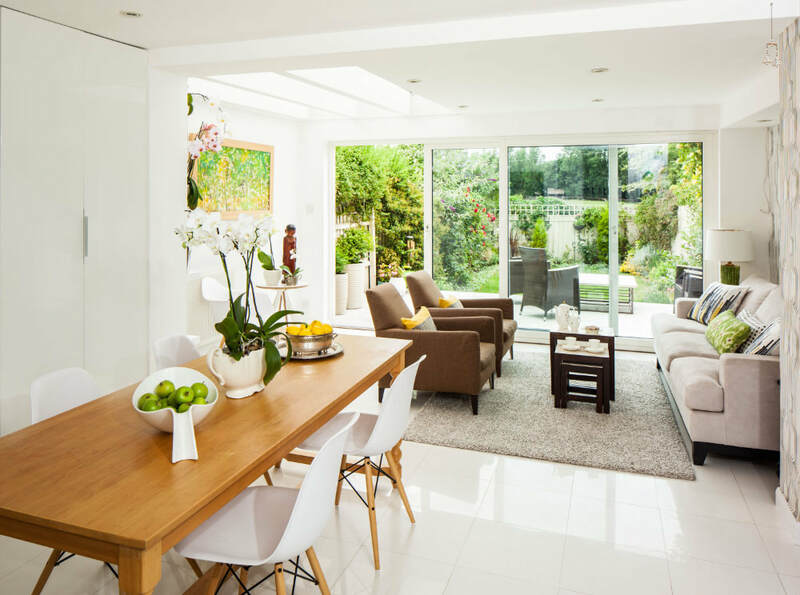 We also drafted new space plans to maximise space and furnished the home with modern, neutral furniture. 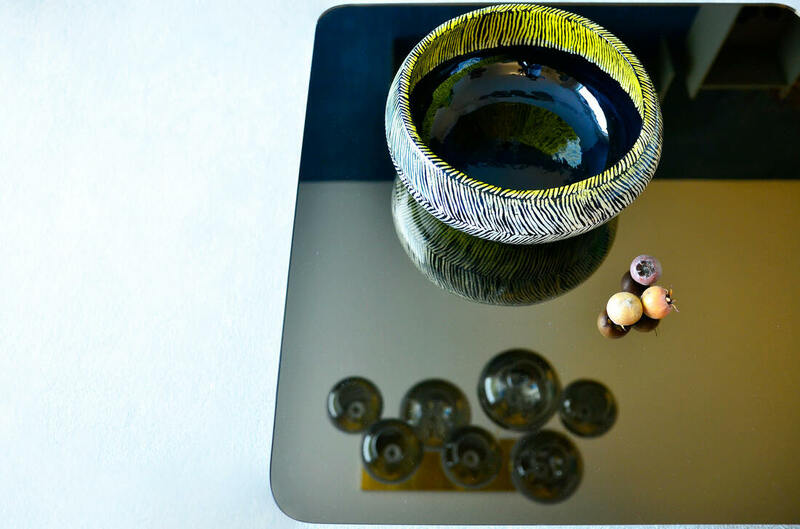 As our client was a creative-type, we included pops of colour with accessories to reflect their taste and personality. 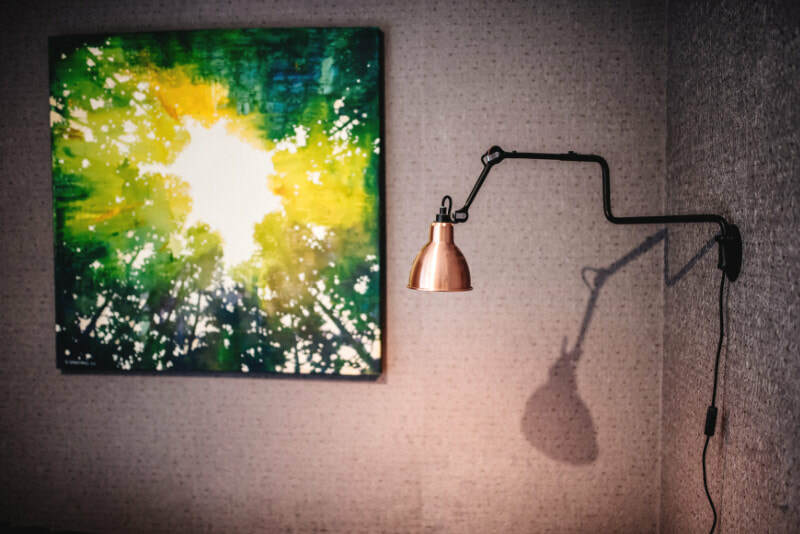 The paintings displayed throughout the home were also purchased through AZ Interiors, created by artist and design director Alicia Zimnickas. When it comes to interior decoration most clients fear pattern and colour. That's a shame especially when the results can be so effective and stylish. 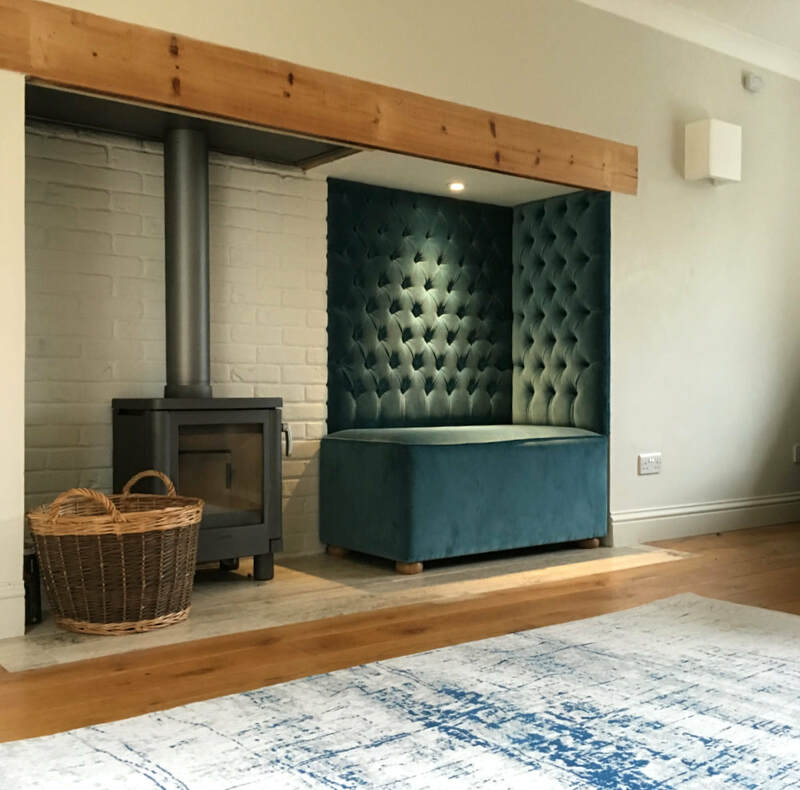 Our Cambridgeshire client wanted to turn his family living room into something more individual and fun to enjoy. We created a nice snug area next wood burner. cosy place to read a book or chill and keep yourself warm in cold winter evenings. Roman blinds with slightly oriental flowers pattern connects inside with in outside garden. 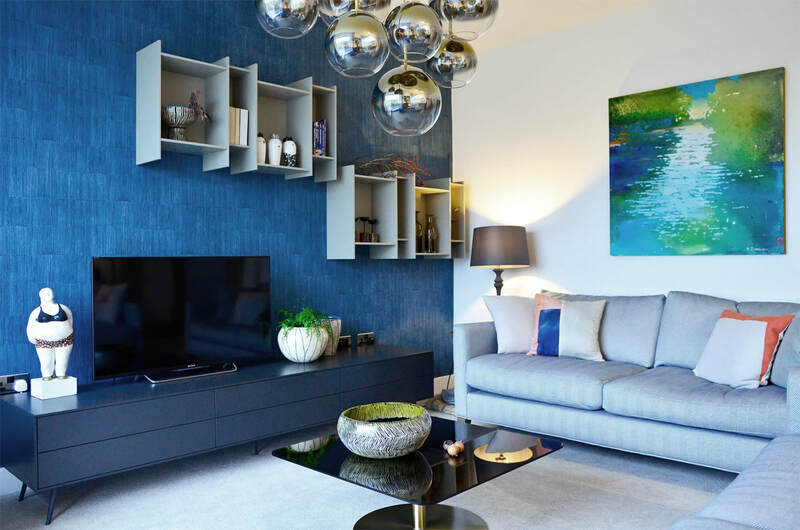 Located within a new build complex in the heart of the city, we designed this apartment to create an elegant and smooth distribution of space. 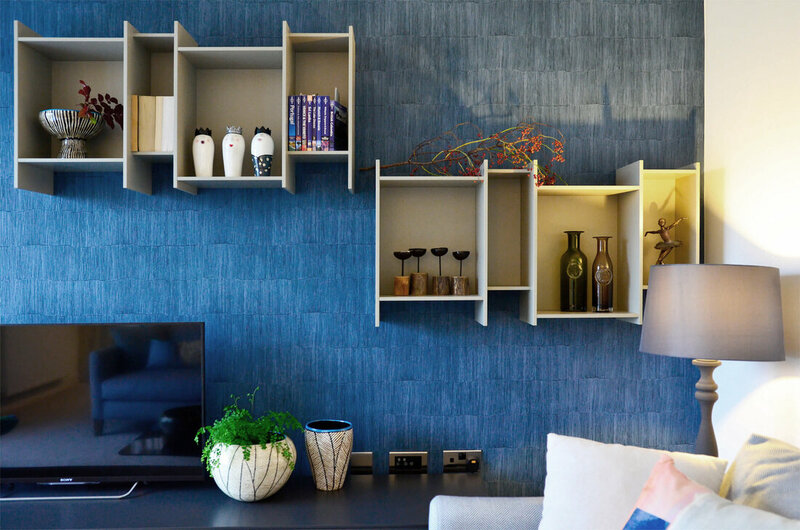 Offering a practical use of space, we provided our clients with plenty of storage room including built in bookcases and multi-purpose furniture. Lighting was very important in this project. 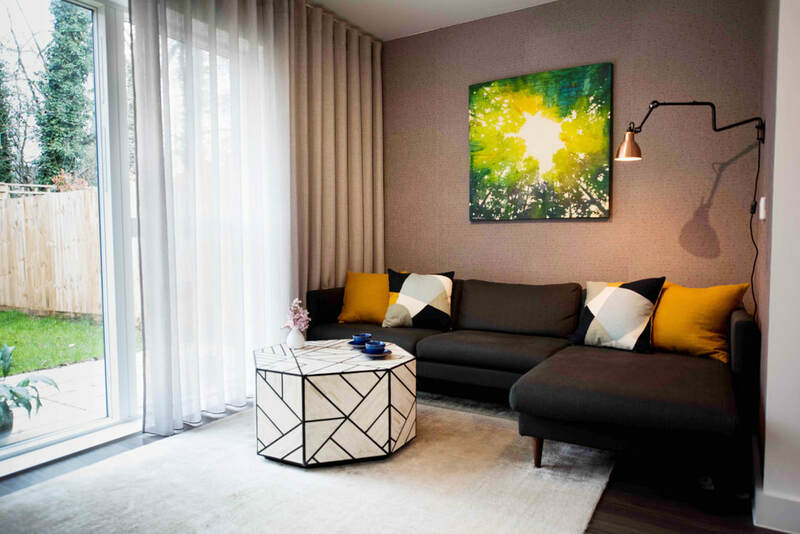 The owners were interested in different lighting effects to create atmosphere and highlight specific aspects of the interior, like artworks and wall textures.